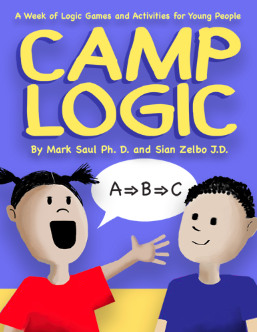 (1) If one mango and one banana cost $4.70, then two bananas and two mangoes cost twice as much: $9.40. (2) From there we can use the middle bag to find the cost of a single banana: $13.00 (2 mangoes and 5 bananas) - $9.40 (2 mangoes and 2 bananas) = $3.60 (3 bananas). If 3 bananas cost $3.60, then each banana costs $1.20. 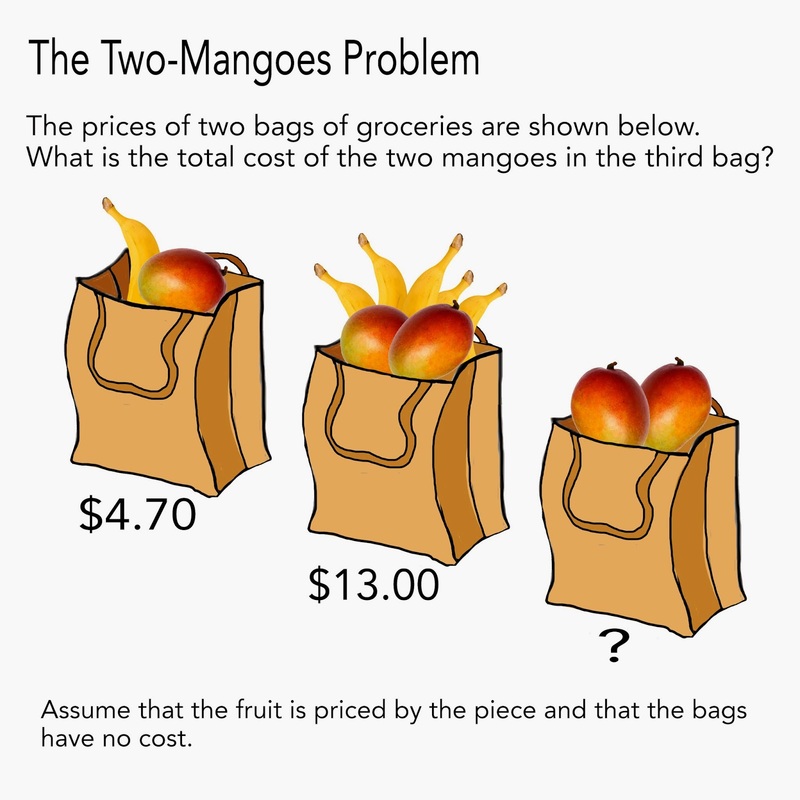 (3) From the first bag then we can see that a single mango costs $3.50 ($4.70-$1.20), and so the bag of 2 mangoes costs $7.00.